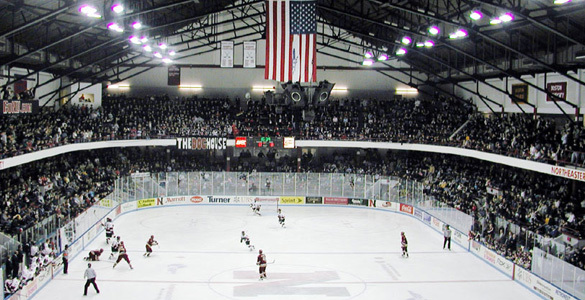 Fresh off a Beanpot title and with a game in hand on second-place Providence, the Northeastern Huskies will travel to Vermont this weekend for two games at Gutterson Fieldhouse. 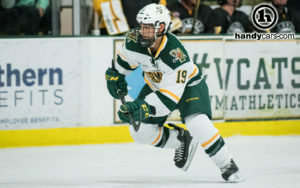 Their opponent is a Vermont team that was left for dead a month ago and was last in Hockey East, only to go undefeated in 7 straight games (including 3 against Lowell and Providence) and put themselves back in the thick of the race for home ice. Starting with the implications for Northeastern, they’re as present as ever. Northeastern trails BC by five points in Hockey East and realistically needs to win their last four games in a row to have any shot at catching the Eagles. The Huskies can fare a little worse, say 3-1 or 3-0-1, if they’re to maintain a good spot in the Pairwise going into March. But regardless of the details it’s time to go on one of those post-Beanpot-championship runs BC and BU have made famous and put themselves into a good position going into the postseason. In spite of their recent run of success, the Catamounts are, frankly, not very good. Stefanos Lekkas is an above-average goaltender, with a save percentage of .914 this season and .923 at even strength. He’s faced 836 shots just to get this point which is an absolute ton and speaks to the lack of team in front of him. The Catamounts only control play for 47-48% of the time and are generally outpossessed and outshot on a game-by-game basis. They’ve attempted 1600 shots on the season and allowed nearly 1800 attempts. Their shooting percentage is a dismal 7.6%, dropping to a nearly impossible 5.6% at even strength and an even lower 5.3% in close situations. You could argue that that kind of shooting is unlucky, and it may be true, but it’s also a function of a roster with high-turnover and almost constant line-juggling that has infuriated Catamount fans all season. You might assume that Vermont has been better during their recent 7 game run, but the truth is, they haven’t. As our statistic-loving friend Ryan Lambert points out, Vermont has had just 45% of the shots in their last 7 games, but scored on over 10 percent of them and saved .945, resulting in 60% of the goals on those 45% of the shots. While hot teams being hot isn’t new and there’s nothing to say they’ll stop being hot right now, the point is that this isn’t a team that picked up some new talent or chemistry to ability to win, they’re playing the same way they have been all season and should be beatable for a hungry Huskies team that’s looking forward and not back. Vermont is last in Hockey East in scoring offense and 10th in scoring defense. They take an above average number of penalties at 12.5 PIM and almost 4 power plays against per game. 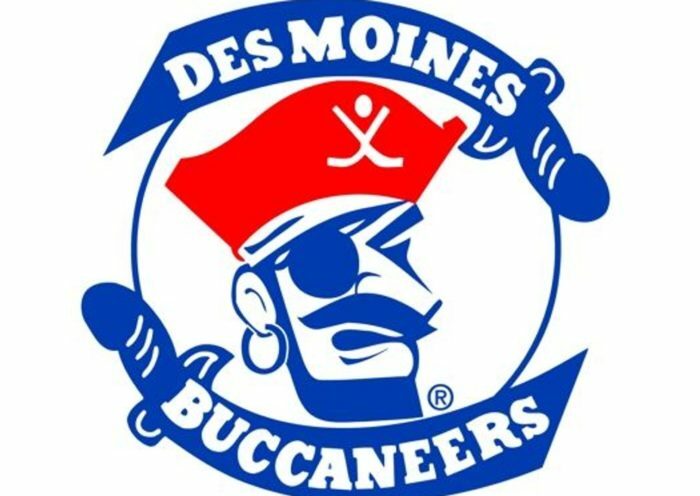 Their power play is actually pretty good at 19.7%, fourth in the conference, and their penalty kill is a very average 80.2%. Counting just conference games, their power play has been a bit better and jumps up to second in Hockey East, but their penalty kill falls to 8th at just 76.6%. It’s actually surprising to see a team with so little success with that level of special teams stability, it really speaks to how bad they’ve been while playing 5 against 5. If they send the Huskies to the box at the rate they usually take penalties, it might be a long weekend for Vermont regardless though. Looking at forwards, Ross Colton is the unrivaled MVP of the offense. He’s attempted 219 shots this season, more than double the 106 of second-ranked forward Craig Puffer. (Also watch out for Alex Esposito at 101.) I assume that 219 is third in the conference to Gaudette and Sikura, who are both just barely ahead at 243 and 239. So, basically, he shoots as much as the top NU forwards do. Watch out for him. 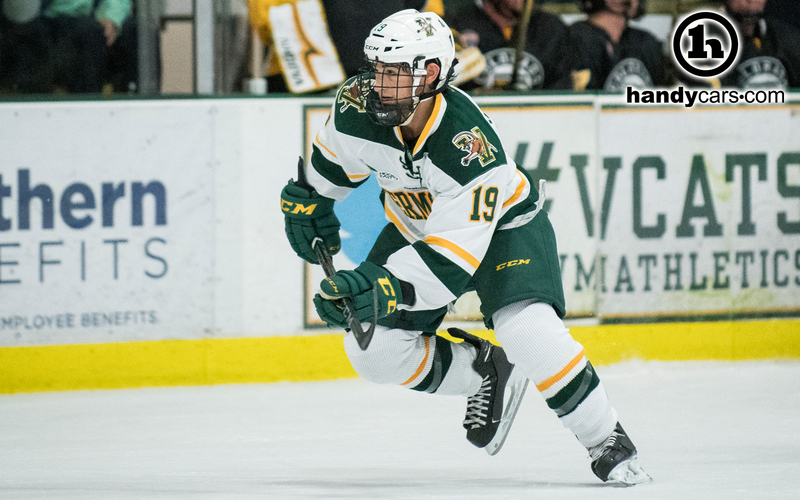 The scoring picture is similar, as the only UVM forward with double-digit goals is Colton with 14, ahead of Esposito with 9. Nobody else has more than 6. 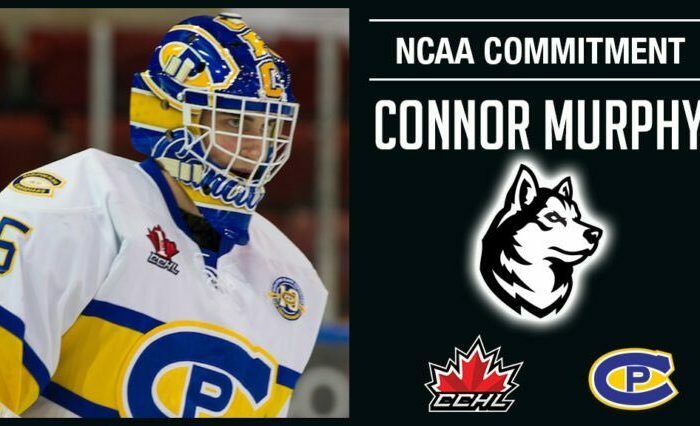 So matching Colton up with the top of the Huskies defense will be tough since UVM will have last change, but it’s probably the key to Northeastern winning this series. 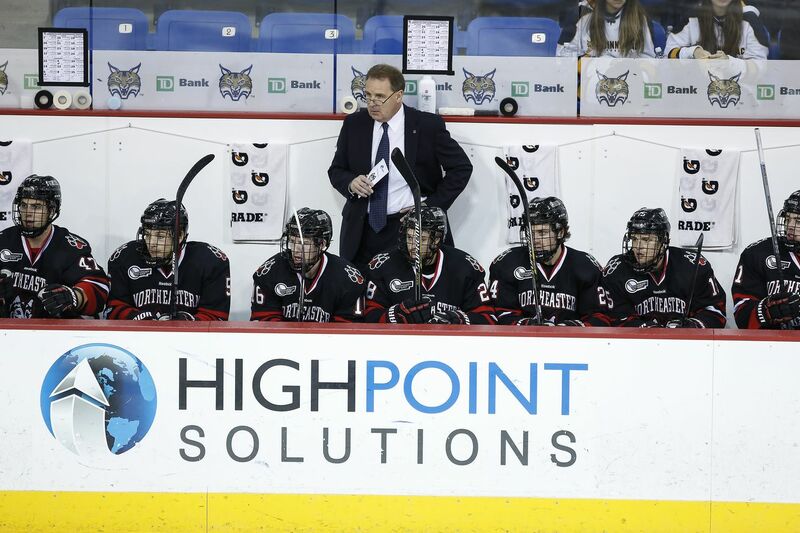 Not to sound overconfident, because the Huskies haven’t won a Hockey East game in nearly a month, since the home win against UMass on January 20th and have taken bad results a lot in that stretch. But even against a hot Vermont team, there’s still no good reason for them to be dropping points, especially at this stage of the season. It’s trophy season, and the run to the next one starts tonight. Let’s Go Huskies.